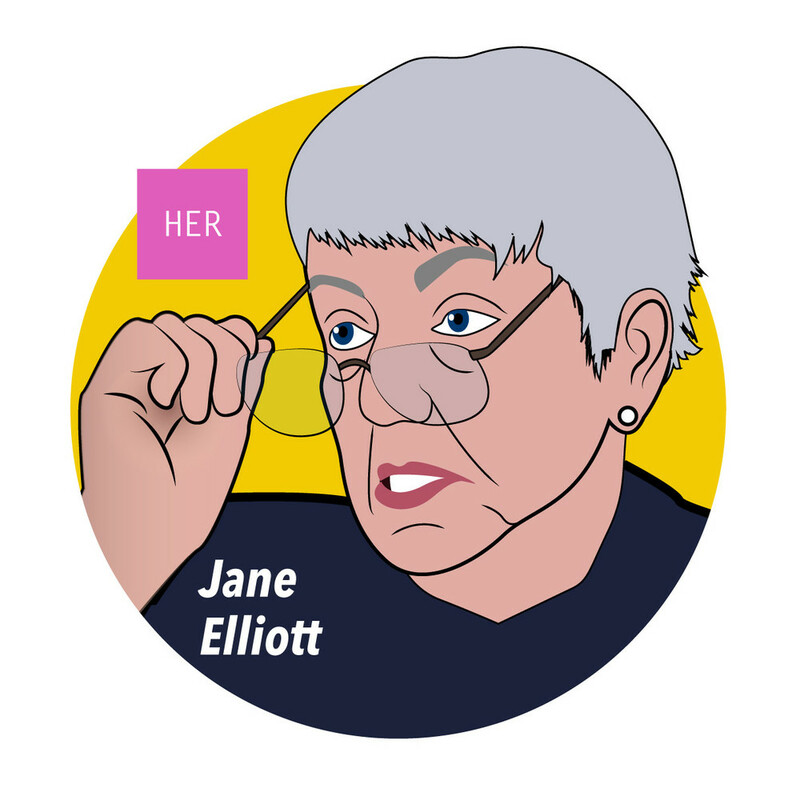 Internationally recognized diversity trainer, and educator Jane Elliott, is best known for her innovative techniques in addressing the nuanced experiences of minorities in America. With the development of the now famous social experiment, "Blue Eyes, Brown Eyes," she captured America’s attention. The experiment along with the majority of Elliott’s work focuses on exposing the prejudice and bigotry that plagues America. Her work in education seeks to demonstrate the harms of social privilege and the arbitrary nature of discrimination.